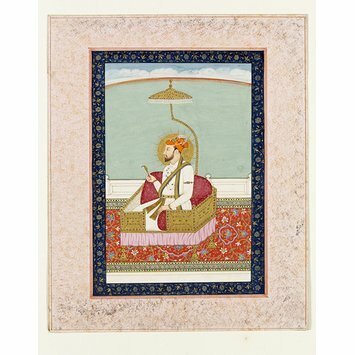 Painting, in opaque watercolour on paper, depicting the Emperor Farrukhsiyar (1712-1719), seated on a jewelled golden throne, facing right. He wears a plain white robe, orange turban, necklaces, and jewelled armlet and bracelets. 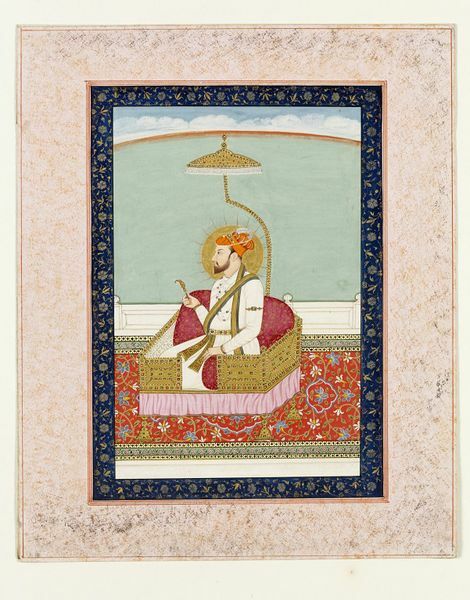 From a series of Muslim rulers. Formerly owned by the Earl of Auckland (Governor General, 1836-1842).